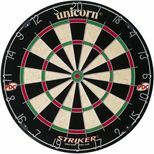 Save 20% on the Unicorn Striker Bristle Dartboard when purchasing this product! for submitting product information about Mightymast Gemini Football Table We aim to answer all questions within 2-3 days. for submitting product information about Mightymast Gemini Football Table. We aim to answer all questions within 2-3 days. If you provided your name and email address, we will email you as soon as the answer is published. hi what is the main material the table is made out of? The Gemini table football is constructed of MDF. Hi, what size are the footballs for this table? We may get some more! They are about 3.5 cm. The Garlando football table protective cover has been designed to protect indoor tables from dust. The dimensions of the cover are: Length=153cm (60”), Width=133cm (52”), Height=80cm (31.5”. Is this table OK for outside use? 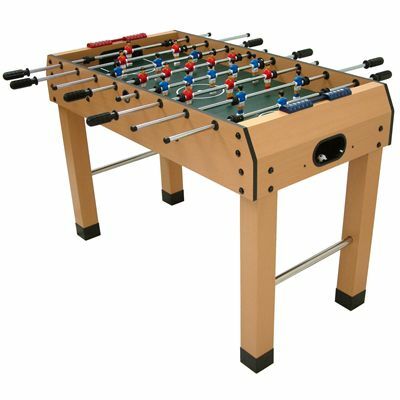 The Mightymast Gemini football table is for indoor use and should be protected from wet and damp conditions to ensure longevity. 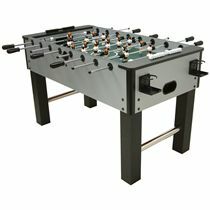 I purchased the Gemini Football Table as daughter had requested Table Football from Santa in her letter to him. The table is delivered flat packed with assembly using Allen Keys provided and bolts / machined components. I have to say I was very impressed with the build quality. The total weight of the parcel was approx 20 kg - but I assembled without help. Worth reading the instructions properly to ensure players are orientated correctly - I had to disassemble & re-assemble due my own ineptness. When built - it is absolutely fantastic. We had lots of laughs on Xmas day playing with whole family and I am sure it will be used for many years to come. Legs can be removed for easier storage & it is fairly heavy and bulky - but much much better than any other table football I have played on - really pleased with it! Brilliant purchase. Quality item. Great value for money. All the family are hooked. Great playability. 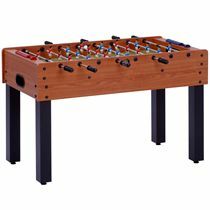 This football table has so far proved a big hit with boys aged 6 & 8 and the grown ups. Very very sturdy and well made. Instructions very clear and easy to follow. Packaged well and good value for the money. Really excellent value for money. The table was put together in just an hour. It is very sturdy and my grandson aged 10 is absolutely thrilled with it. Great football table for the price. plays well was delivered quickly and easy enough to assemble. Basic table but for the price it's really good value for money. Has a sort of retro look which I like and plays very well! I bought the table for my son as a birthday present and he is over the moon with it! Great little table for him and his friends. Worth every penny. Bought this for my 6 year old son for Christmas. It is very good quality, doesnt take too long to put together (1 hour) and has provided hours of great fun all over the holidays. Good value for money, excellent traditional toy. 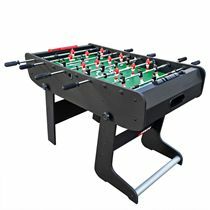 for submitting product review about Mightymast Gemini Football Table.